I haven’t written in more than two months. I feel like I can’t find the words I want to use to express the plethora of emotions I have right now about 2016. No words to give God the glory He’s due for everything He has done for me. No words to fully describe my broken heart. No words to show my thankfulness for my place of employment. No words to convey how I feel about what’s happening in Syria. No words to express how much I love the homeless men, women, and children at the Mission. No words to express my frustration with the church in America. No words to explain how blessed I feel to have the family I have. No words to illustrate how the Christian community is the toughest community for a single person. No words to convey the slow healing from my experience living in Uganda three years ago. No words to disclose that adequately show what amazing friends I have. I am hurting. I am also blessed. I am scared of the future. I am also optimistic about it. But to go into detail about anything right now, I just don’t have the words. I guess I’ll share them when I do. “Trust in the Lord with all your heart and lean not on your own understand. My beautiful co-worker and friend was beaming. Her face was glowing almost as much as the gorgeous engagement ring on her finger. The love of her life proposed to her yesterday, and life couldn’t be better for the 26-year-old. “God is so good!” she exclaimed. I felt guilty for even having that thought. Of course God is good. He continues to forgive me for foolish choices and selfish thoughts. He looks out for my best interest. He has a plan tailored to exactly what His will is for my life. I have the love of family and friends. I am healthy. God loves me. There’s no doubt about it- God is good. Maybe someday my friend will find a job where she feels fulfilled. Maybe someday my other friend will have the opportunity to travel to another country. Maybe someday I’ll marry the man I just can’t seem to stop loving. Or maybe… none of that will happen. Engaged or not, God is so good. Married or not, God is so good. Fulfilled or not, God is so good. Children or not, God is so good. President Trump or President Clinton, God is so good. No matter what happens, no matter where it happens, no matter when it happens, God is so good. My first breakup was in 8th grade. It was short and to the point. “Andy don’t wanna go out with you no more.” Click. My boyfriend of four days (we had started “going together” at Friday’s football game) had his best friend call me after school on Monday to give me the bad news. It hurt, but I managed. Little did I realize that I’d go through so many other breakups, too many to count, and that they’d increasingly get more difficult. I’ve been through breakups that I initiated. I’ve been through breakups where I was flat out dumped. I’ve been through a breakup where I considered a restraining order. I’m 35. I’ve been dating since I was 16. I’ve seen my fair share of breakups. And then what? You don’t want to lie, but you also don’t want to get into what happened. Unless…. well, unless you do because you want people to know that your love story was beautiful, but God had something else in mind for the future. Nearly three weeks ago, my boyfriend and I broke up. We’d been together for a year. One blissful, amazing, out-of-this-world year. All the while, we both knew there was something that could eventually end our love story. He loves me. I love him. There was no falling out or fight. 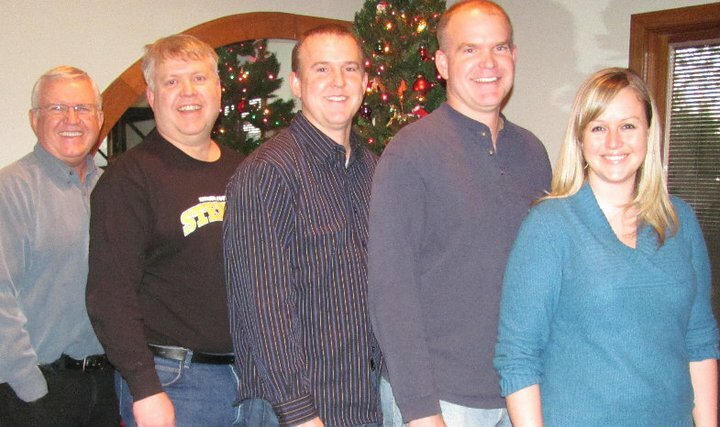 We still love each other, but there are three boys in Iowa who need his love more than I do. Him moving to be with his sons, because he wants to be a good father, just makes me love him more. Although he’s doing the right thing, it was a devastating decision for the both of us. Two people who love each other, who had a virtually flawless relationship, who put God first, who had just spent a year together, could no longer be together. Our hearts were ripped to shreds. No one had done anything wrong. No one had been unfaithful. It was just time for things to be over. I prayed that every single night after that. And it has made all the difference in the world. I have a peace about this breakup. I know God has a plan for each of us. I have faith that God knows what He’s doing because He has NEVER steered me wrong. So did we breakup, hug, and then I skipped away into the sunset? Not on your life. I cried, he cried, and to be honest, I still cry every night because my heart hurts. I miss him more than I’ve ever missed anyone in my entire life. I still hold onto hope that maybe God is just breaking us apart for a few years and down the road we’ll end up back together. I’m still going through all the grieving that is involved in a breakup. But it’s different this time. It’s unlike all the other breakups. I’ve always had God. He was there when I went through all my other breakups. But I ignored Him during most of those relationships. Having Him at the center of my life while also being madly in love with someone made all the difference in the world. A person cannot be the center of your universe. I repeat: a person cannot be the center of your universe. Not your boyfriend. Not your husband. Not even your children. (Check out Matthew 10:37) People are flawed. People are selfish. People will leave you, either by choice or by death. You have one being in this world who will NEVER leave you. And that’s God. He is the only safe choice to put at the center of your universe. That’s made all the difference in this relationship and breakup. It’s actually made all the difference in every single part of my life. I trust God has a plan. Sometimes His plan involves pain, but it’s always for the best of the “big picture,” which we don’t always see. This breakup has been so different for a number of reasons. It’s breaking my heart in a way it’s never been broken, but I’m OK. I’m not destroyed. I’m certainly not interested in dating again for a very, very long time (if ever), but that’s OK. Finding a guy isn’t what life is all about. His purpose. Not mine. I trust He has something amazing planned for me that I can’t even imagine. He’s proved that to me time and time again. It’s easy to think that until… well until you’re the one who is offended. All over Facebook I see people, especially Christians, posting about how they are so sick and tired of people taking things personally or getting offended, and yet Christians seem to be the most offended people of all. But really, we can’t look at someone and tell them they can’t feel how they feel. Are there people who ARE paranoid and over-the-top? Of course. But sometimes, what if people really are hurt? Who are we to pretend that we can walk in the shoes of someone who is something so completely different than we are? I stopped dismissing people’s feelings on being a certain religion, race, etc., when I realized I had my own “chip” on my shoulder – being single in the church. It’s so frustrating because no one understands, unless they are a fellow single. When I discuss my issues with my married friends in the church, they don’t understand, and sometimes the things they say are hurtful. They think singles want a group all their own to meet potential mates. Not at all. And it extends beyond having a specific group for singles. It’s the fact that no matter how hard I’ve tried, I’ve not been fully embraced by any church I’ve attended as an adult, and I do think it’s because I’m single. Before you react. Before you judge. Before you comment… are you a single 30-something who has attended all the churches I’ve attended? About a year ago a local homeless shelter held a fundraiser where you could spend a night as a homeless person. I thought it was a great idea! It raised a lot of money and gave people a small taste of what it was like to be homeless. However, I volunteer with the homeless, and they didn’t think it was such a great idea at all. I felt like my homeless friend was overreacting at first, but then I applied my friend Ashley’s words to the situation: I’ve never been homeless. I can’t claim to know what it’s like or what would upset me. When it comes to walking on eggshells because we’re afraid we’re going to offend someone or not use the politically correct term, I absolutely believe that has gotten out of hand. But what I’m saying is…. If you’re not black, don’t pretend you know what it’s like to walk into an upscale store and get stared at. If you’re not Christian, don’t pretend to know what it’s like to watch your country take your Savior out of everything. I could go on and on with many more examples. Be kind. Be compassionate. If we all attempted to understand each other a little better, the world would be a better place.